They witnessed many battles, much blood has been shed for their control, and yet they stand alone today with many tales to tell. India has some majestic forts spread across its length and breadth. Some of these are well known, while others lay alone holding their majestic appearance and untold history. If you thought the forts you witnessed on your last visit to Rajasthan were the best that India had to offer, wait on – for we have a list of some fabulous and unexplored forts. 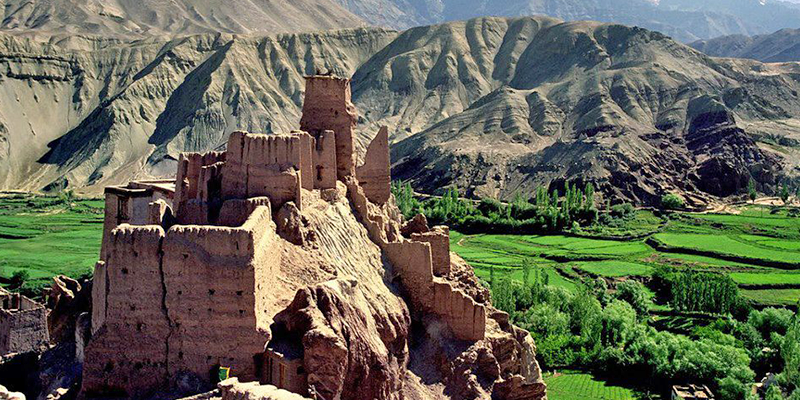 Basgo Fort, Ladakh: Though it is known as a Buddhist monastery today, Basgo situated about 40 kms from Leh was built as a fort by the Namgyal rulers in 1680. This fort finds frequent mentions in various Ladakhi Chronicles and was a centre for politics and culture in its heydays. The fort is situated on a hill top overlooking the ruins of an ancient city. 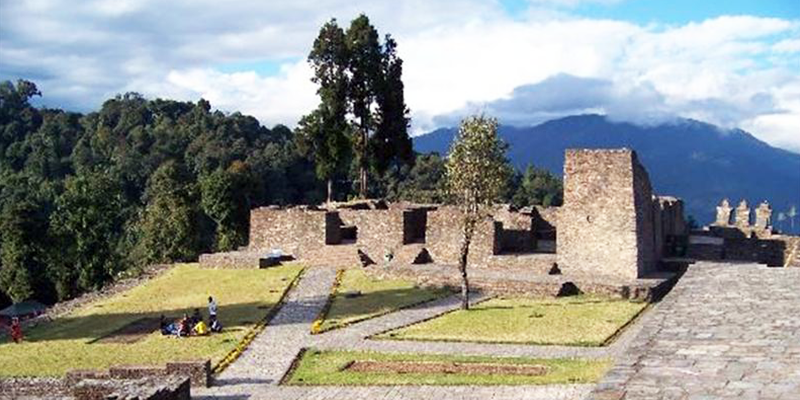 Rabdentse Fort, Sikkim: The city served as a second capital for the Kingdom of Sikkim from 15th-19th century. Serving as a primary form of defence from the raiding forces of neighbourhoods, the fort was destroyed by the Gurkhas. The complex consists of ruins of palace, fort and certain Chortens. The fort offers great views of the Kanchendzonga ranges. The monument has been declared one of national importance by the Archaeological Survey of India. Tughlaqabad Fort, Delhi: Stretching over 6 km, this fort was built by Ghiyas-ud-din Tughlaq in 1321. Gifted with remarkable stone fortifications and sloping rubble filled walls that are typical architectural patterns of Tughlaq Dynasty. An elevated causeway 600 ft in length leads to the Mausoleum of Ghiyas ud-Din Tughluq. 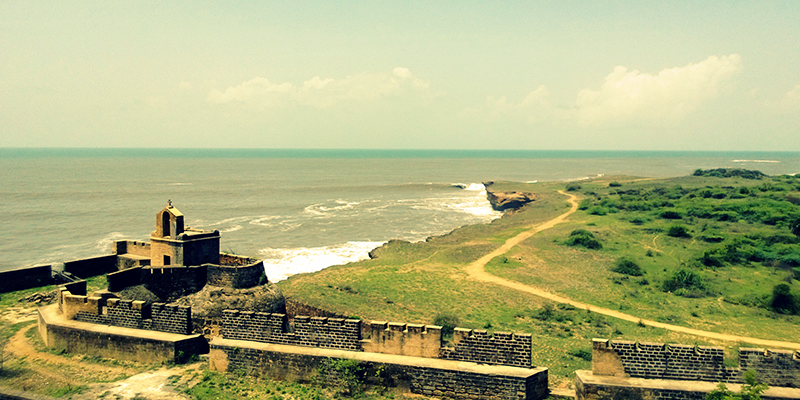 Diu Fort, Daman & Diu: In 2009, the Diu Fort was named as one of the Wonders of Portuguese colonial rule. Built in 1535 to defend the city against the Mughal emperor Humayaun, this fort grew in importance as years of colonial rule progressed on the island. 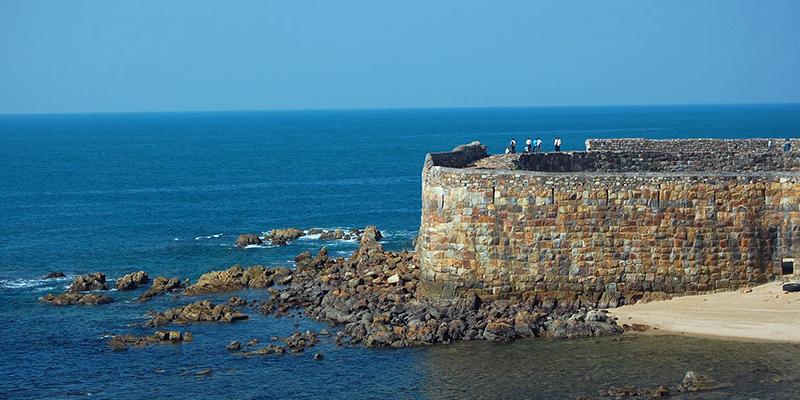 Built on the Indian Ocean coast, the fort offers magnificent views of the sea. There are many attractive monuments within the premises such as 17th century St. Paul’s Church and St. Thomas Church. Venetian Gothic style bungalows can be seen on the Zapata Gate of the fort. There is also Gangeshwar Mahadev temple that is believed to have been built by the 5 Pandava brothers. Sidhudurg Fort, Maharashtra: Fort built by Chhatrapati Shivaji Maharaj in 1656 to protect the interests of Maratha Empire in the region, it overlooks the Arabian Sea on the Konkan region. It is learnt that “over 4000 mounds of iron were used in the casting and foundation stones”. 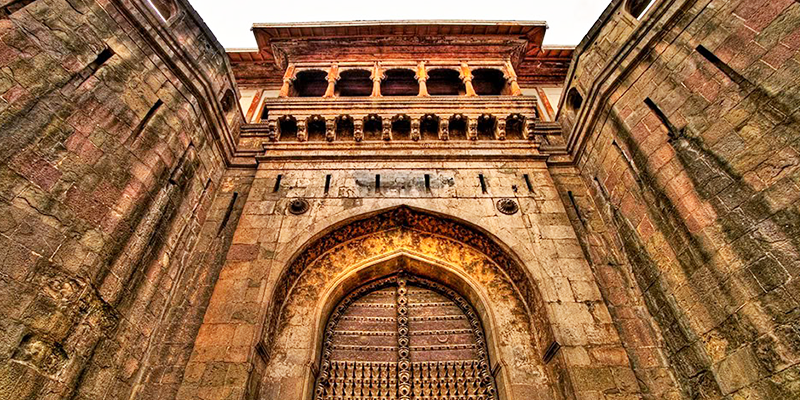 Strategizing genius of the Marathas is at large in the architecture of this fort, for the main entrance is concealed in such a way that no one can pinpoint it from outside. It is said that family of the original Killedars (Sakpal Naik family) still reside in this fort. 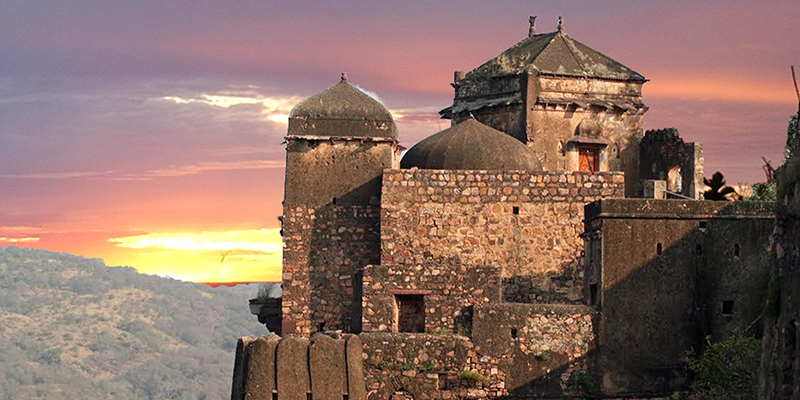 Bahu Fort, Jammu & Kashmir: This 18th century fort was built by the Rajput king, Bahu Lochan. 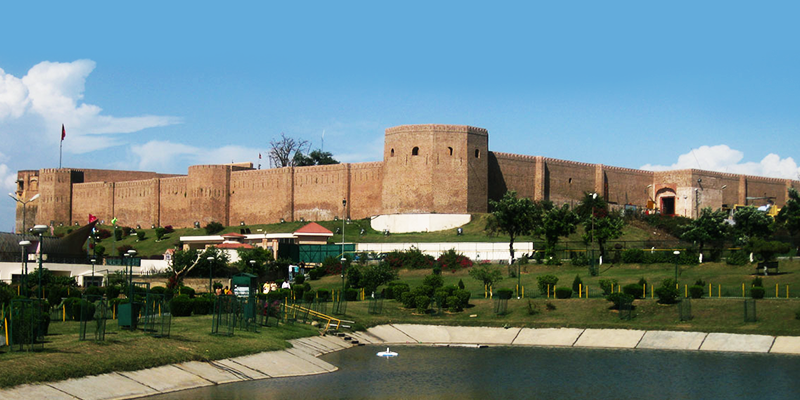 The fort stands at an elevation of 325 metres, opposite to the old Jammu town on the left banks of River Tawi. It offers best overview of Jammu city. Within the complex there is Bawe Wali Mata Temple, which attracts lots of devotees on Sunday and Tuesday. In the temple precincts large groups of Rhesus monkeys are found, largest such group in the State. 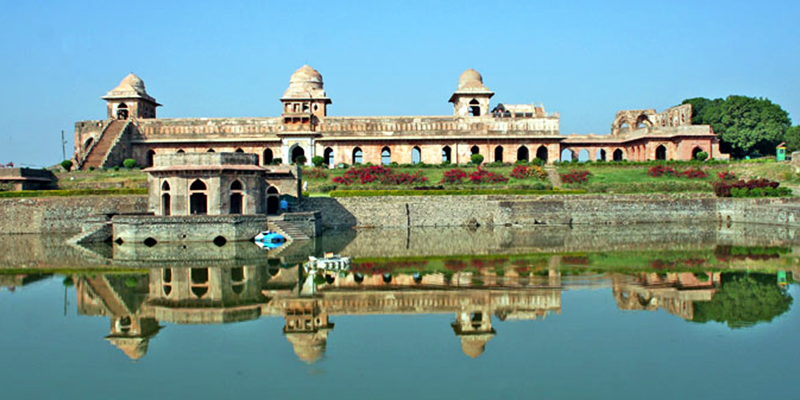 Mandu Fort, Madhya Pradesh: Small town of Mandu holds within it vast treasures of history. 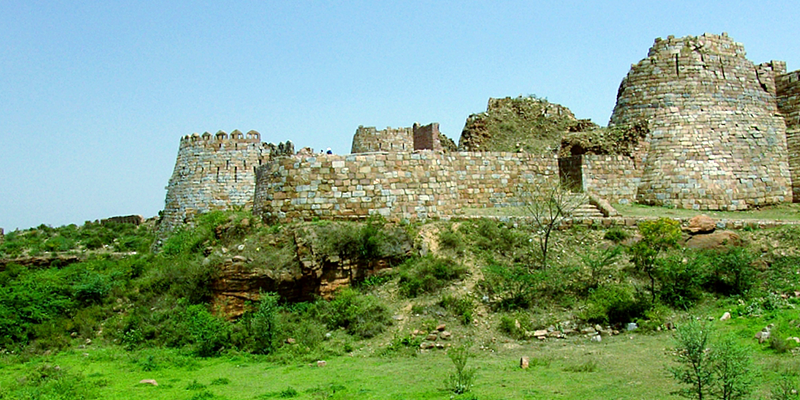 Located on a hilltop, the fort dates back to 10th century when it was built by the Parmars. The fort was deemed impenetrable due to its strategic location, with vast Malwa plateau on one side and Narmada River to the other. Many bloody battles were fought here. There are many historic monuments in the vicinity such as Roopmati’s Pavilion, Nil Kanth Palace, Jahaz Mahal, Hoshang’s Tomb, Asharfi Mahal and Baz Bahadur’s Palace. Ranthambore Fort, Rajasthan: Built in 944 by the Meena tribesmen, the fort sings tales of valour and courage of Chauhan dynasty king; Hamir Dev. Situated within the Ranthambore National Park, the fort is surrounded by forests on all sides. Within the fort there are monuments such as Jain and Ganesha Temple, Jogi Mahal, Padam Talao and Rajbagh Talao. It offers unprecedented views of the Ranthambore Tiger Reserve. India’s rich history, valour of its brave sons and origins of folktales stem from these forts. Visit them and feel history first hand! Really. .. Very informative … Out of these forts I have visited two of them – Mandu fort of Madhya Pradesh and Tughlakabad fort Delhi.